In December, 2014, PRISM was contacted by a couple in Ashland, NE asking for assistance with their home. The family was experiencing voices, noises, objects moving, footsteps, and feeling of unease in the basement. 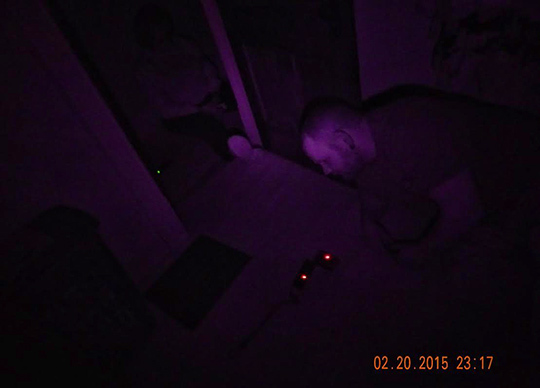 On January 7th, 2015 PRISM conducted a pre-investigation of the home. Investigators present included - Kelley K., Bo K., Michael B., and Cassandra B. On Febraury 20th, 2015, PRISM conducted a full investigation of the home. Investigators present included - Kelley, Bo, Michael, Cassandra, Jeremy, Nichole, Carrie, and John. This video is a compilation of EVP's captured during our investigation of the Ashland, NE Silver Street residence.